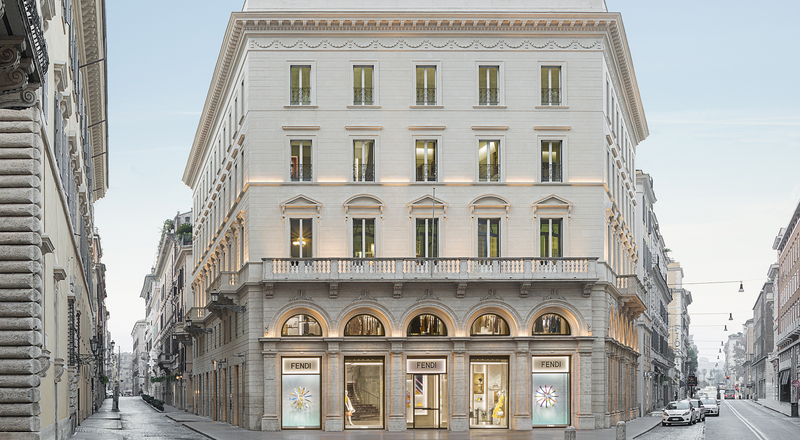 After transferring its head office to the Palazzo della Civiltà Italiana in November 2015, Fendi recently completed the renovation of its historic Palazzo, located in the heart of Rome. Join us for a tour of the stunning landmark restored by the Italian fashion house. 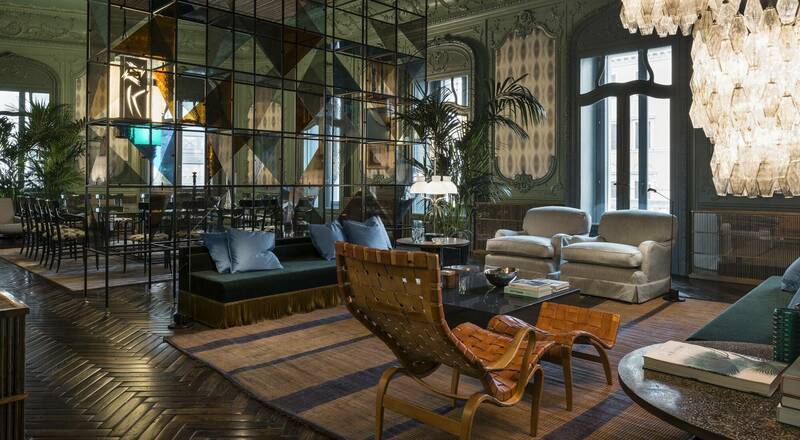 Palazzo Fendi has revealed its new look, facing Via Condotti and the Piazza di Spagna. While the façade remains faithful to historic Italian architecture, the rest of this entirely renovated 17th century building has been transformed into a space dedicated to an exceptional art of refined living. 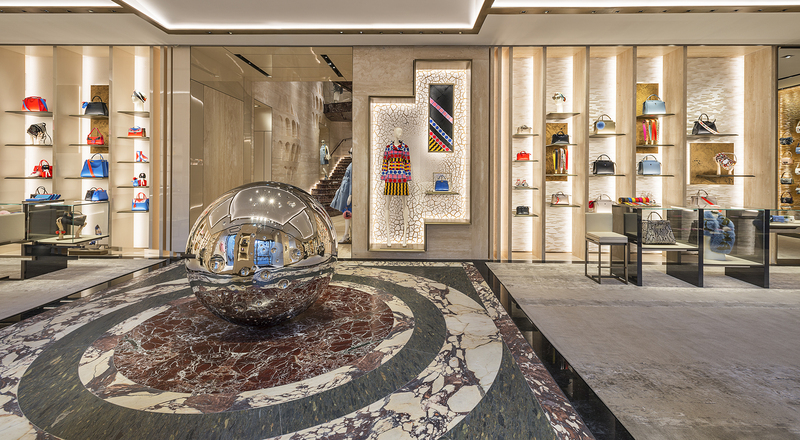 The ground floor and first level are home to the Fendi boutique. 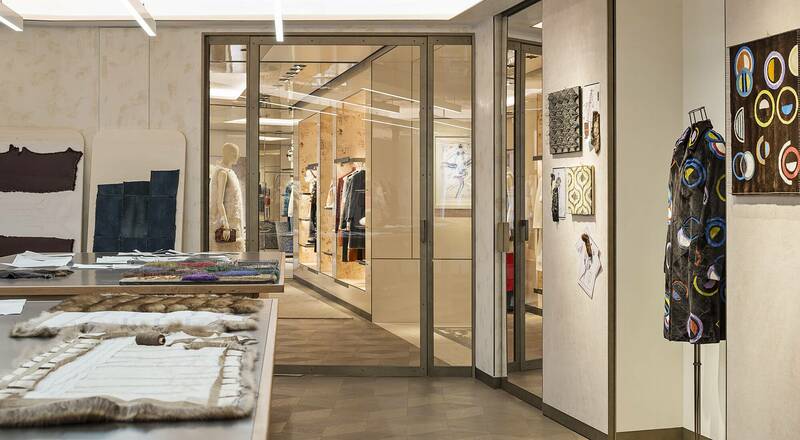 More than simply a store, the boutique offers a unique esthetic experience, exhibiting a selection of artwork in an architectural setting that epitomizes Italian luxury. 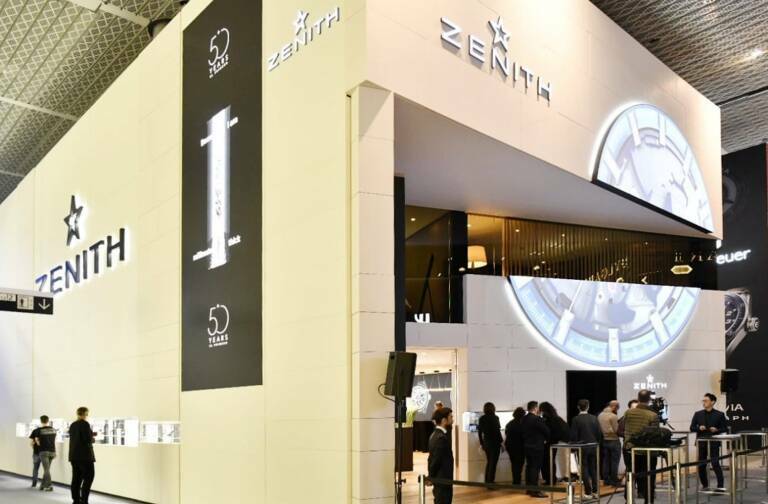 In the entrance, visitors are welcomed by the Moon Baal sculpture by Swiss artist Not Vidal, reflecting the circular motif of the precious marble floor. The choice of travertine, the stone traditionally used to build classical Roman monuments, pays tribute to Italian heritage. 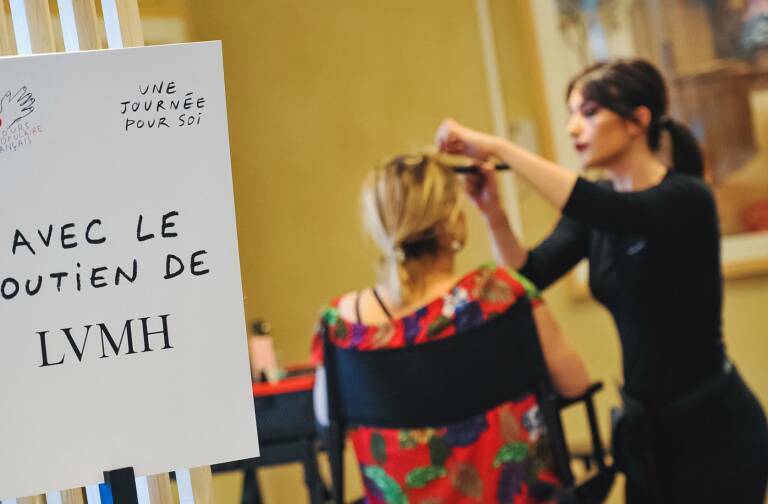 From the Baguette Wall displaying iconic Fendi handbags to furs transformed into decorative objects, elements of Fendi’s emblematic style punctuate the spaces dedicated to women’s and men’s ready-to-wear. 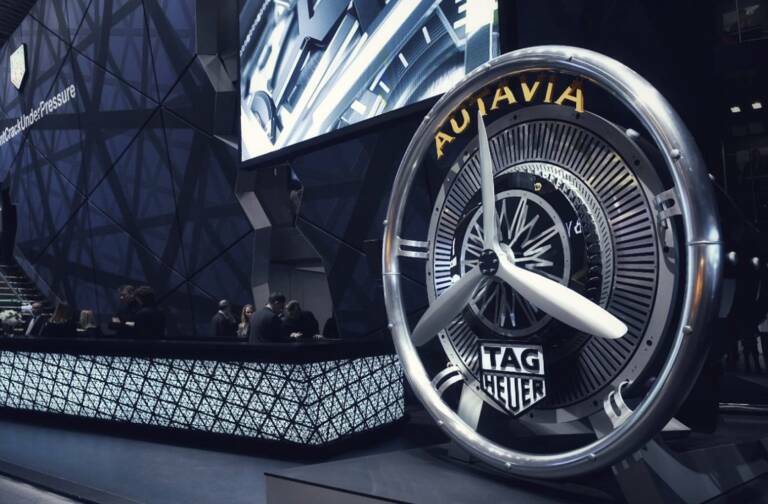 The glass elevator decorated in silver leaf leads to the boutique’s Fur Atelier. 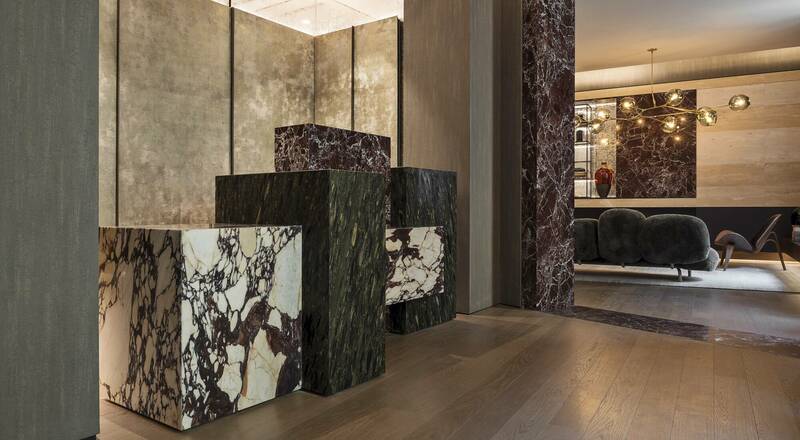 This space promises a unique experience, with made-to-order service where special orders are executed as customers watch by Fendi’s fur artisans. Palazzo Fendi’s second floor is occupied by a private apartment, catering to VIP clients, celebrities, and friends of the House. The décor for this private Palazzo, imagined by the design duo behind the Dimore Studio, blends vintage design pieces, contemporary furniture and objets d’art, as well unique creations commissioned by Fendi. Finally, the third floor has been transformed into the very first Fendi hotel. Composed of seven suites, it offers an immersive experience into the sophisticated Fendi world. With a Zuma restaurant and a rooftop terrace with a bar, the Palazzo Fendi offers a complete Roman experience of Italian luxury.